About Me: Social Worker and Investor. Favourite Tokens: Medjerda has not listed any favourite tokens. There is more to see on Medjerda's profile, please login to get access. 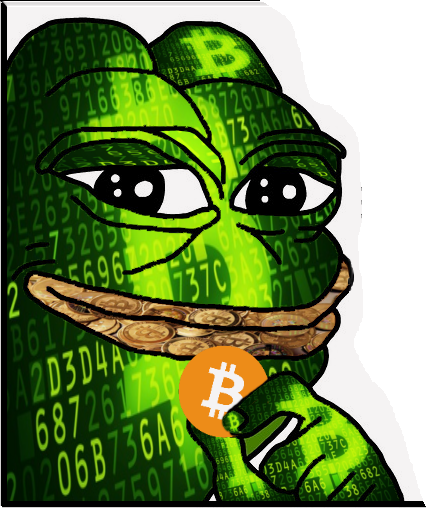 Bitcoin pepe rised! Praise the PEPE! Like him and your BTC value will rise! Discord board is buggy i guess. @visacvv Oh yea there's a reason I bought a lot of them, going to do the same thing as BCH, obviously not to $5k but $1k BTG wouldn't surprise me. icomood.com will live soon. Register mail list for new ico news. I'm on multi exchange buy i can import only bittrex here. This invesment not my actualy investment. But Shift is on the list still! Where do you buy shift? Should i post premium signals that i receive? Okey, follow me i will post when i get 10 followers. hi.. premium signals from whom? Exactly, is it a P&D group? Medjerda does not have any holdings. Medjerda has no friends on Altpocket.